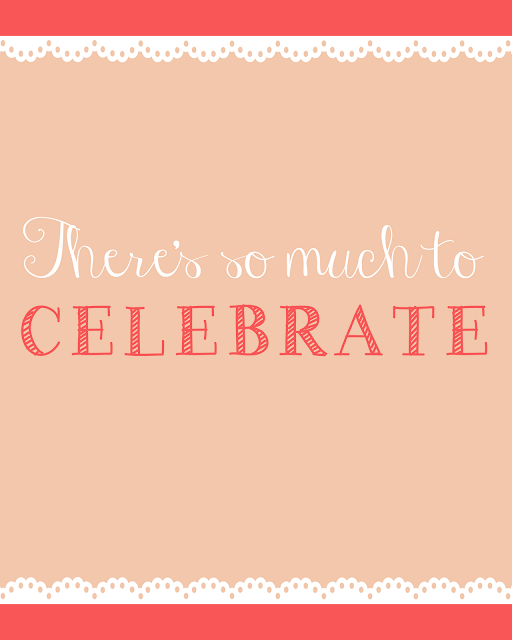 d a n i e l l e b u r k l e o : did you want more free printables? did you want more free printables? oh good. why didn't you say so sooner? the other night i had so much on my mind. emotions from all different situations coming together and i just wanted to clear my head. all i wanted to do was to sit down and create. it really does my heart so much good and helps me sort through my thoughts. i love designing pretty things. it's a like a little therapy session for me. and we all could use a little therapy session now and then. can i get an amen? in july i offered up my first set of free printables, they're right here, if you missed out on them. i'm hoping to do a little free printable dump once a month. so, if there's a verse, or quote you really want hung up in your house leave it here in a comment and i'll try to include it in the next go around. click the links below each picture to get your prints! each is sized at 8x10 and will fit perfectly printed onto your 8.5x11 paper at home. or you can also send it to be printed wherever you please. or you can make it into a canvas. i mean, really, the possibilities are endless. also, google docs dislikes me and you won't always see a preview for your print. that is a-okay though, just click through to get your pdf and print away. don't print the images right from this post cause it won't look good. mkay? hope your monday is lovely, my friends. beautiful prints!!! :) Could you do one of Jeremiah 29:11? very cute! thanks for sharing. would you mind sharing the names of the 2 fonts you used? Seriously, you rock. Thanks for sharing your gift. I sat down this weekend & decided on where to hang some prints & things like that. Now I'm going to have to adjust because these are too cute not to add! word. you are the jam. i adore these, of course. I love all of your printables. Seriously, you always choose the bestest fonts. :) Thanks for sharing! 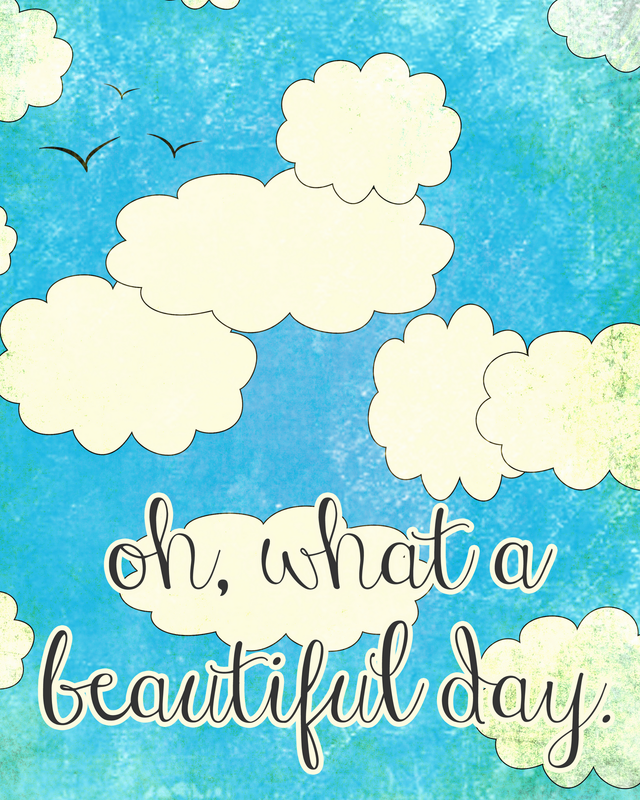 I love these new printables! They are beautiful, thanks for sharing them with us. Have you ever done a print for John 16:33, where it says "In this world you will have trouble. But take heart! I have overcome the world.”? Maybe you have since the name of your blog is Take Heart :) I'm currently in love with that verse. beautiful prints! thanks for sharing them with us! How wonderful of you to offer these! 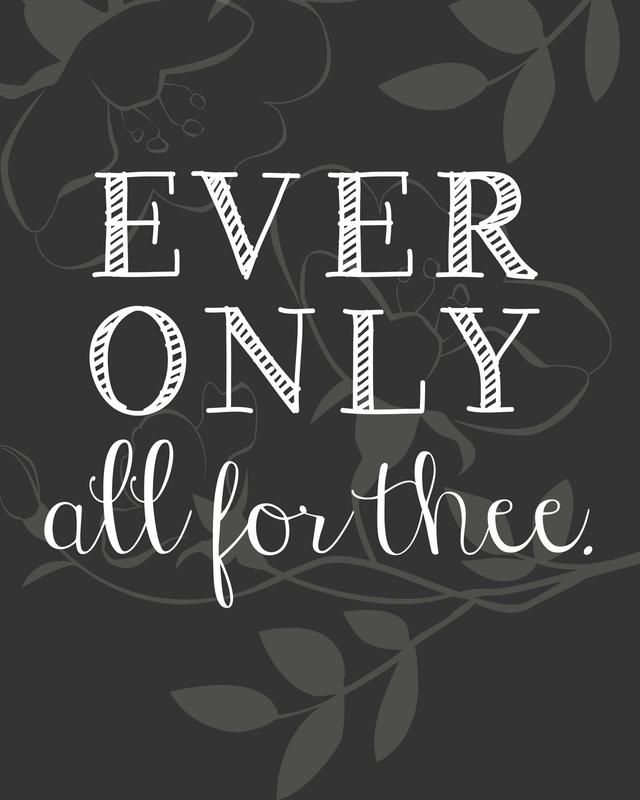 "Ever only all for thee"
is going up in my house tonight! I love printables! These are wonderful. :) I wouldn't mind one next time that says, "Bind my wandering heart to thee". Thanks! James 4:6 would make a great printable to have!! "He gives more grace." are these still available? i'm having trouble downloading them... thanks! 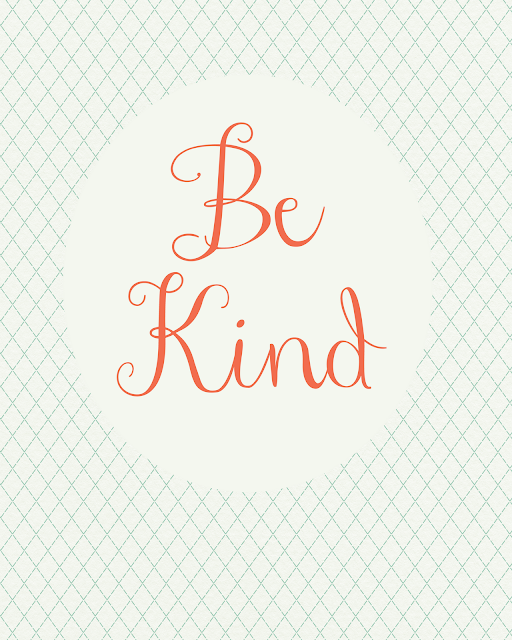 May I please use the Be Kind poster. I absolutely love it! You have done a great job on this article. It’s very readable and highly intelligent. You have even managed to make it understandable and easy to read. You have some real writing talent. Thank you. plastic business cards. Hi there! I just wanted to pop in and tell you that I used your 'Be Kind' printable on my kitchen gallery wall :) I even put together a blog post about it and linked over here to your post. Feel free to hop on over and check out the finished product! These are absolutely amazing, thanks for sharing your talents! I tried to download, but it's telling me they are too big to download. Could I be doing something wrong? Thanks again! Hello, I wanted to print these beautiful printables for my gallery wall. I was just wondering how I can save it so I can have it printed at Staples. Thanks!!! Assignment Writing Help allows students to overcome the various assignment writing challenges that they face in academics. This service is not only reliable but is also affordable for every student. One of the most popular academic service by Online Assignment Expert, is Assignment Help Australia. The subject experts have a vast knowledge of the WEKA software and have solved hundreds of assessments till date. Moreover, the STATA assignment help Arts Assignment Help by our experts has proven to meet all the expectations of students. We excel in providing assignments written exactly as per the guidelines provided by a student's university.